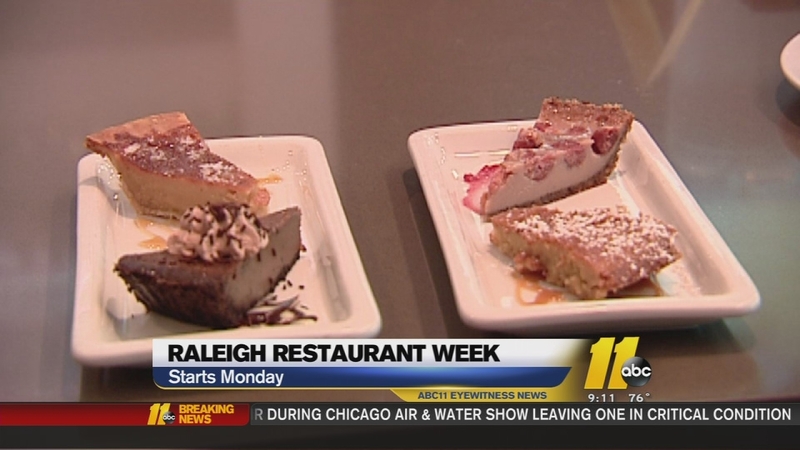 RALEIGH (WTVD) -- Restaurant Week returns to downtown Raleigh on Monday. The event gives folks the chance to try upscale restaurants at a deal. Patrons can enjoy three-course meals for only $20-$30 per person. The event has now expanded to include lunch menus, so $5 and $10 deals can be enjoyed. Tax, tips, and beverages are not included. More than 55 downtown establishments are participating.